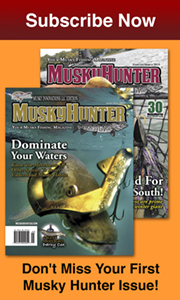 Here are some of the best marine dealers serving the musky fishing community. Just “CLICK” on any of the names below to visit their web sites. Owned by Sam and Pat Rosefsky, Bedford Sales has been northern Illinois’ premier source of boats, accessories and fishing tackle since 1970. We invite you to stop by our 25,000 square foot showroom and browse thru a selection of 50 plus boats and 3,000 square feet of fishing tackle. With sales and service in Morris, ILÂ our trained and courteous staff will help you and your family get the most out of your boating and fishing experiences. Heartland Marine is a full service marine dealer and tackle shop located in El Paso, Illinois. We service and sell Tuffy and Smoker Craft boats. 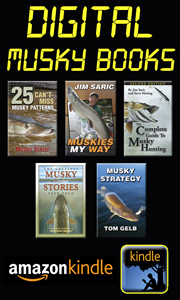 Our tackle shop offers a complete selection of quality musky baits and terminal tackle. 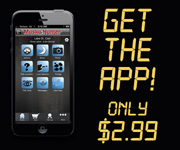 Stop by and check us out! For over 65 years, Carl Stirn’s Marine has been setting new standards of excellence and service for boating enjoyment. Because we offer quality merchandise, caring, conscientious, sales and service, we have been able to make our customers our good friends.Â Â Their 26,000 sq. ft. facility, in Aurora Illinois, includes a complete parts and accessories department, full service department, and new, used, and brokerage sales. We at West Lakes Marine feel that we are friendly and courteous enough to provide you with the highest quality service, setting us apart from our competitors. They provide their customers with over 40 years of friendly, helpful service has allowed us to develop the important product knowledge necessary to give you the best quality service near Rome City / Kendallville, IN. Shoeder’s Marine and Sport Center is located just north of Rhinelander Wisconsin in the heart of the Northwoods of Wisconsin. Recreation is the mainstay in the Northwoods and for every season of the year,”WE MAKE FUN STUFF FUN TO BUY”!